Watco, maker of industrial-strength flooring products, has introduced a one-day prep-and-paint system for concrete floors that employs a rapid-cure polyaspartic resin technology. 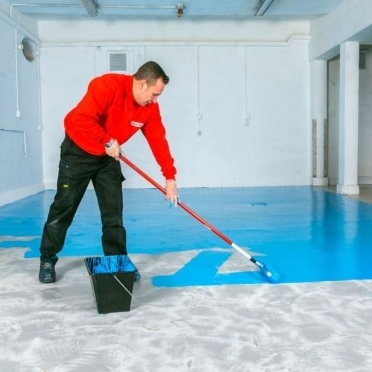 The company's heavy-duty Fastcoat floor paint system is designed to deliver a highly durable, abrasion-resistant surface. The entire system, from cleaning to traffic, can have a concrete floor ready for traffic in 12 hours, the manufacturer says. The Fastcoat system is recommended for production areas, warehouses, showrooms, workshops and other interior or exterior heavily used areas. Fastcoat Paint, available in light gray, mid-gray, mid-blue, mid-green and tile red. 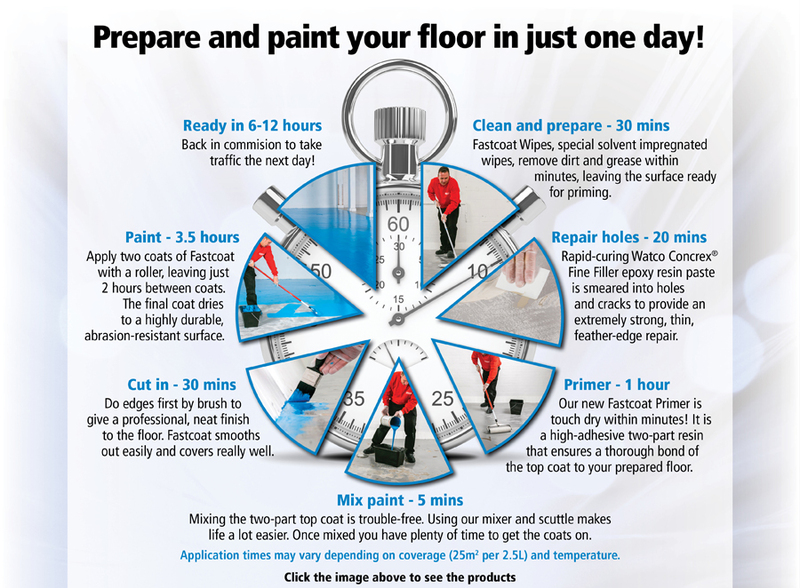 The two-part paint is also available in an Anti-Slip formulation and requires only two hours of drying between coats. The coating system can have a floor ready for traffic in 12 hours, Watco says. Watco notes that application times may vary depending on coverage and temperature. The manufacturer recommends the system for production areas, warehouses, showrooms, workshops and other interior or exterior heavily used areas. Established in 1927, UK-based Watco provides a wide range of epoxy resin coatings, concrete repair materials and anti-slip products for floors, steps and ramps.